Apple has secured a temporary ban on the sale of Samsung tablets in Australia after launching legal action against the Korean company for allegedly copying the iPad too closely. In the federal court of New South Wales, Justice Annabelle Bennett granted the injunction, which prohibits the sale of Samsung's tablets until the lengthy patent battle between the two technology giants has been resolved. "I am satisfied that it is appropriate to grant an interim injunction," Justice Bennett said, confirming that Apple had valid cause for legal action for the breach of its touchscreen technology patents. The dispute will now head towards a full hearing, although it is unlikely to take place until at least next year. The South Korean technology giant said they are considering legal options, following the decision. "Samsung will take all necessary measures including legal action in order to ensure our innovative products are available to consumers," the company said in a statement. "This is a part of our ongoing legal proceeding against Apple's claim." 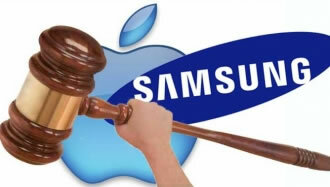 Samsung is confident it can prove that Apple had violated separate patents belonging to them relating to wireless technology, and has filed a cross-claim against the iPad maker in the Federal court already. Nevertheless this latest ruling is going to be a huge blow to its seemingly unstoppable sales success as of late. Samsung had previously said it would completely pull the Galaxy tablets from the Australian market if it was unable to sell them over the Christmas period, as it would render the device "dead." Apple already won a similar battle against Samsung in Germany, resulting in a sales ban for Galaxy devices in that country. Court cases are still ongoing in the UK, US, Japan, the Netherlands and Italy.